The Literacy Association of Ireland have announced their shortlist of books for the upcoming LAI Children's Book Awards. There are 4 categories in this particular award; 0-4, 5-8, 9-11 and Young Adult. These books are currently being reread and considered. The winners in each category will be announced on October 5th at the LAI annual conference. 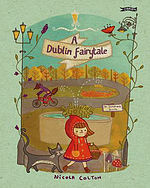 A Dublin Fairytale by Nicola Colton; published by the O'Brien Press. How To Get Rid of a Polar Bear by Rachael Darby; published by Choice Publishing. 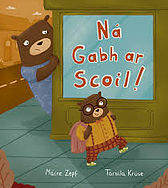 Óró na Círcíni by Gabriel Rosenstock, illustrated by Brian Fitzgerald; published by An Gúm (and also nominated for the CBI Book of the Year Awards this year). The LAI Book Award is given in alternate years, and chosen from an outstanding selection of books published in Ireland during the two years previous.This year, there will be separate awards given to books in the four age categories. 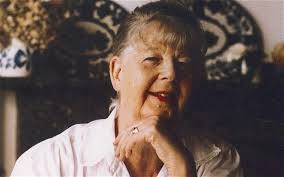 On the 16th of July, Shirley Hughes, one of the best known and most loved childrens' author/illustrators celebrated her 90th birthday. published world wide, proving an international appeal. 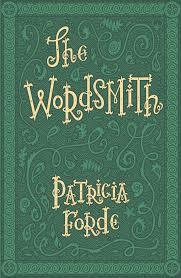 The awards she has been given for her work make for incredible reading, and include, in 2015, BookTrusts' inaugural lifetime achievement award. And she does this incredibly well. 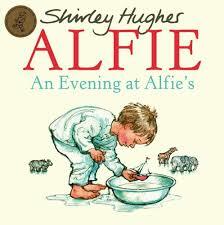 There is much to look at, much to understand in all her many books, and all from a childs' perspective. 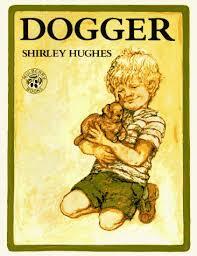 Happy Birthday, Shirley Hughes...and many thanks for all the gifts you have given us. Your stories, your pictures and your insight have meant the world. The Galway International Arts Festival will soon be upon us offering two weeks of music, art, theatre, street performances...you name it, it will be happening in Galway. There will be something for everyone! 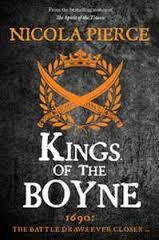 But there is one production that I am particularly excited about. Branar Téatar do Pháistí will be presenting (a World Premier, thank you very much!) 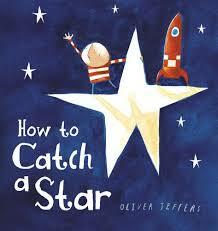 How To Catch A Star, based on the beloved picture book by Oliver Jeffers. "We strive for a simple, elegant form of theatre for young people, that achieves intricacy through the creative use of few means. A style that stimulates the ability to imagine and challenge, while opening a dialogue with our audiences and providing a catalyst for education." original musical score to bring Oliver Jeffers first picture book (originally published in 2004) to life. Once there was a boy who loved the stars very much. One day, he decides to catch one and make friends with it. This is the story of his adventure and reminds us all to keep following our dreams, wherever they may lead. This is a non-verbal production and is recommended for audiences aged 4 +. 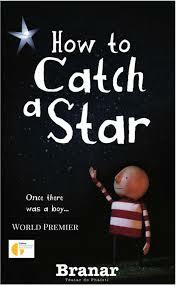 How To Catch A Star will be at the O'Donoghue Theatre NUI Galway from 18 through 28 July (no shows on 22-24 July). Check out the programme for times and booking information. And while you're at it, have a good look through the entire programme....as I said, something for everyone.